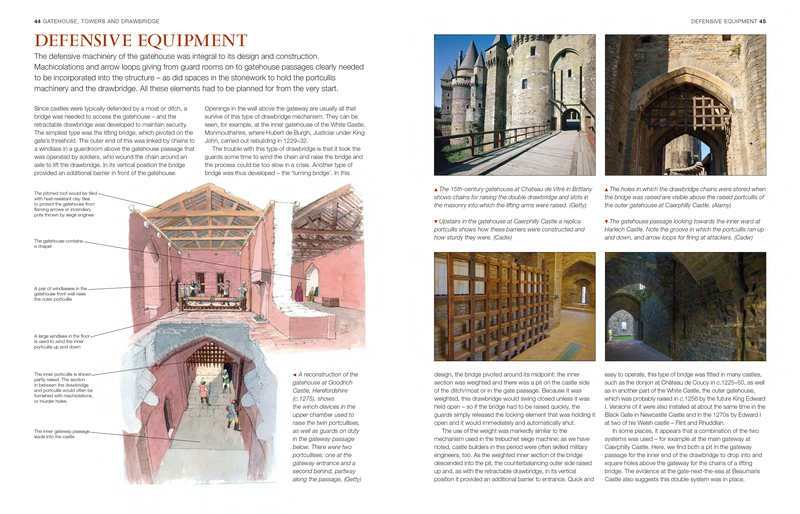 An illustrated, behind the scenes look at medieval castles and how they combined two purposes, a weapon of war and a home for an entire community. 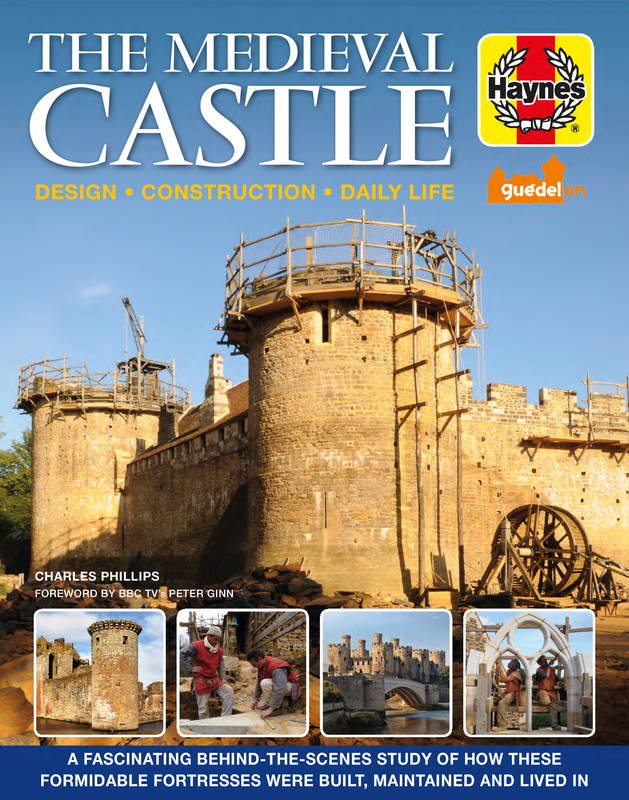 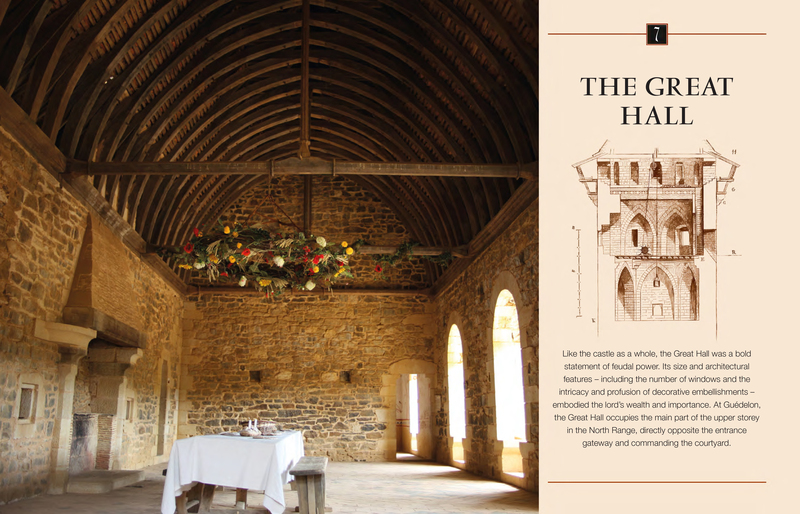 Using the beautiful construction of a medieval castle at Guédelon as the starting point for each chapter, the book takes each section of the building itself to explain its design, construction and how it was used and lived in. 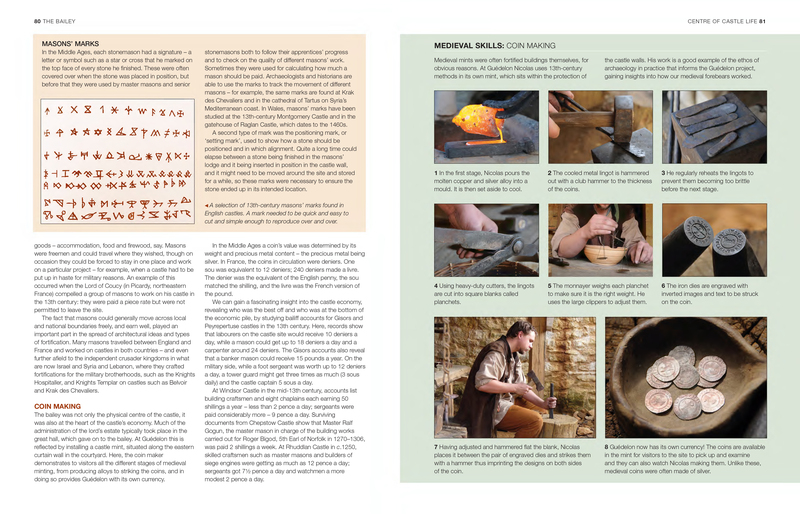 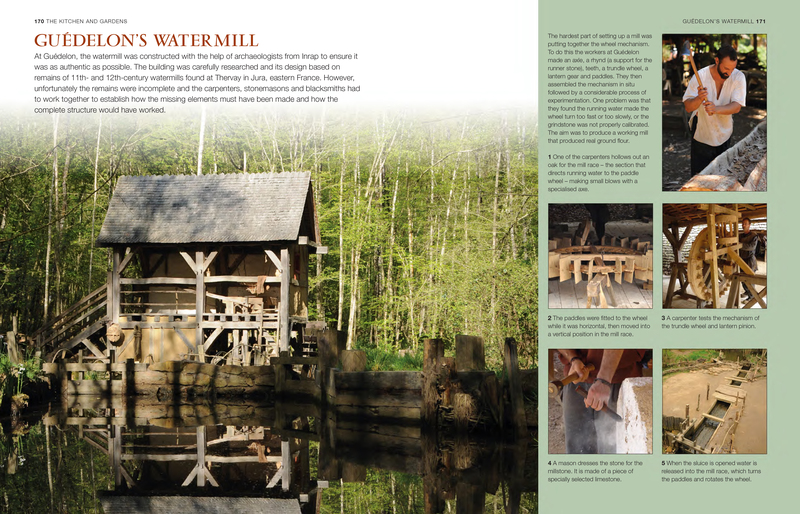 Using images and techniques learned at the site, step-by-step photographs reveal the ancient skills of stone working, carpentry, dying, rope making, milling and many more, while the text discusses the similarities with other impressive medieval castles from the same period. 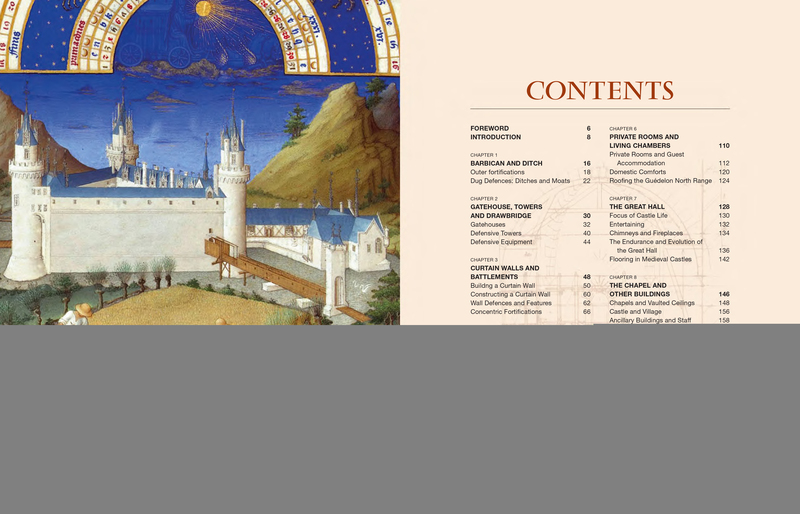 Author: Charles Phillips, author of more than 35 books, specializing in history, popular science & psychology, mythology, cinema & arts. 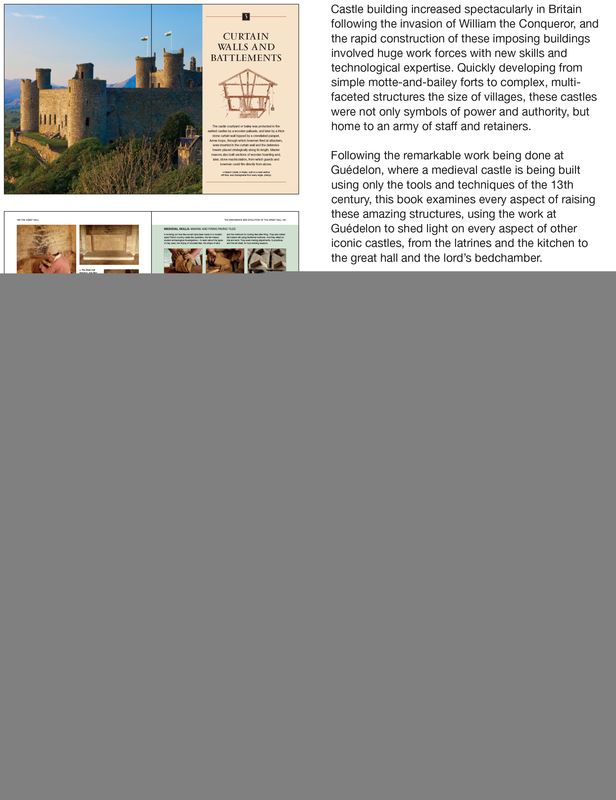 Books published for Anness Publishing include The Medieval Knight, The History of the Crusades, Castles and Palaces of Britain, and The Encylopedia of Royal Britain.